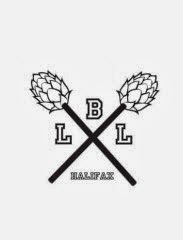 Next month, the Halifax Ladies Beer League (LBL) is celebrating their first anniversary by hosting a celebration for their supporters at The Wooden Monkey in Dartmouth on June 20th at 7:30 PM. Now organized by a team of five female board members, the LBL has many notable accomplishments including: Organizing Halifax’s first Cask Beer Festival, Brewing their own commercially available beer with Boxing Rock Brewing Company as part of International Women’s Day, And, hosting eight unique events throughout Halifax featuring many of Nova Scotia’s craft breweries. “There are women in Halifax who recently discovered their love of craft beer at our events, and that motivates us to keep going strong”, says Phillippi. The LBL has also inspired similar female-run groups in Ontario, New Brunswick and Western Canada. According to LBL Board Member Lindsay MacPhee, "We continue to receive emails and phone calls from like-minded women who were interested in starting their own version or chapter of Ladies Beer League. It is absolutely encouraging to see how many women share the same passion we do." As new breweries continue to open they are also encouraged by the presence of the LBL. Emily Tipton, owner of Boxing Rock Brewer agrees. “Growing craft beer in Nova Scotia needs people getting together to talk, learn and enjoy what is so great about craft beer, and that's just what the LBL does.. They help make it an exciting time to brew beer here”. Jeremy White, owner of Big Spruce, says “The LBL stands out among craft beer interests groups in their ability to organize and coordinate the promotion of craft beer awareness and enjoyment across Nova Scotia." The LBL Birthday Party will feature one-off Cask-conditioned beer from North, Big Spruce and Garrison breweries. Unlike previous LBL events, there are no presold tickets the LBL Birthday Party & guests can pay as they go. “We are throwing a party for everyone who has supported us over the past year, as well as anyone who might have been curious but never attended”, says Pam Crouse, LBL Chairwoman. “We’d love to see everyone come out, even if just for a pint”. Let the Gruit Times Roll!